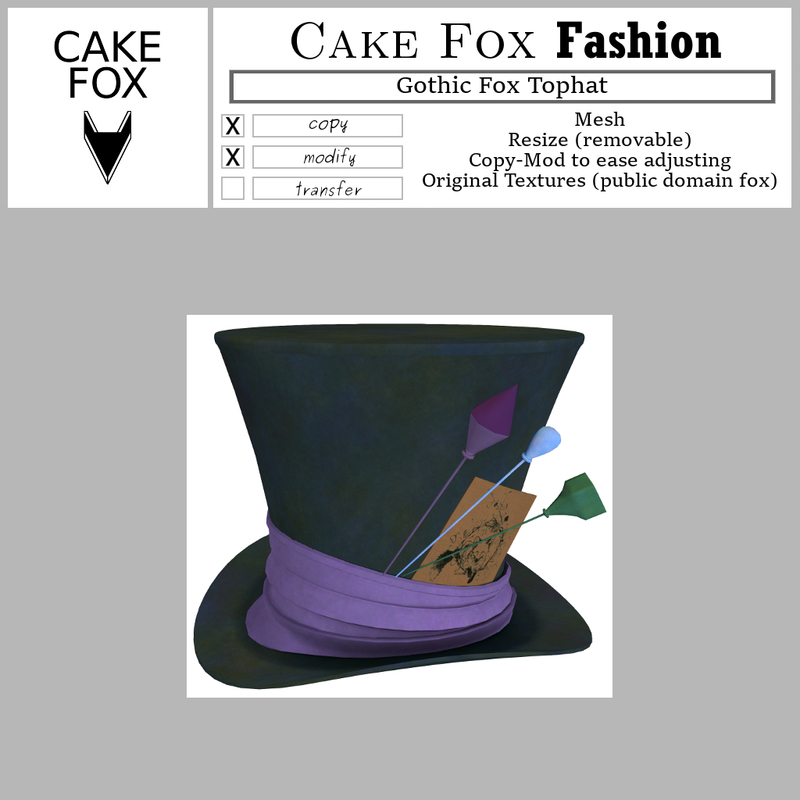 NEW: Cake Fox Fashion Gothic Fox Tophat ,exclusive for the Femboy Hunt 8 (FBH8): Gothic, during the hunt. Hunt item price 2L$. After hunt full price. 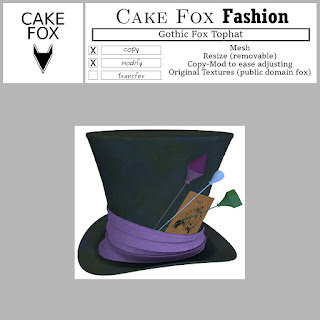 Get it at Cake Fox Mainstore.